Scientists studying long-ago California climate have realized that the 20th century was abnormally wet and rainy, according to researcher Lynn Ingram, professor in the Department of Earth and Planetary Science at UC Berkeley. Ingram made the statement in a video presentation that is part of the UC California Institute for Water Resources new online video series. The series consists of presentations featuring UC and other experts speaking on topics aimed at helping farmers and all Californians better understand and cope with drought. Precipitation during the last three years in California has been low by standards set since records were kept, which began in the late 1800s. However, the current drought appears to be well within normal fluctuations in the state's climate, according to research by Ingram and other paleoclimatologists. A trend of gradually increasing temperature since the 1960s has been causing earlier spring snowmelt, decreased snowpack, and is predicted to cause more extreme droughts and floods. 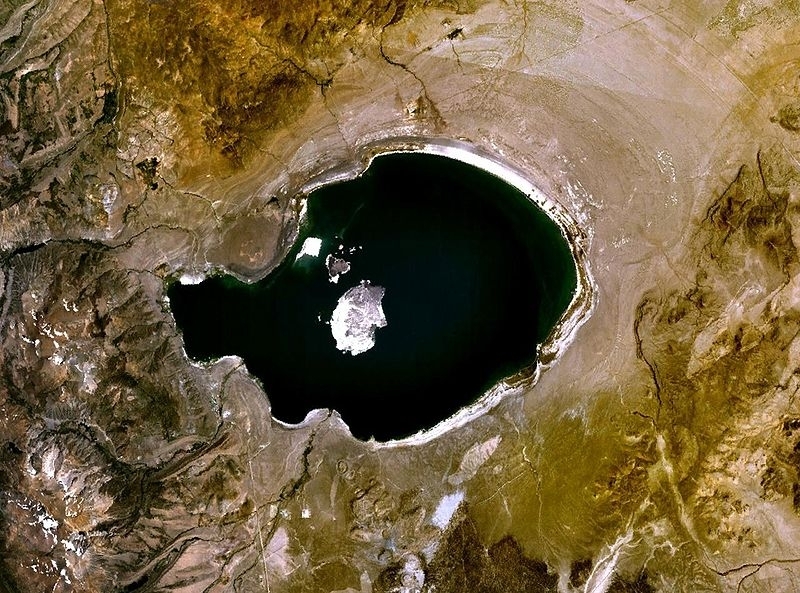 In her 17-minute video, Ingram noted that her colleague Scott Stine of California State University East Bay found some of the first evidence of a medieval warm period in California by studying the water level of Mono Lake. The lake expands and contracts depending on the amount of runoff from the adjoining Sierra Nevada. Stine's research reveals a dry spell from 1,800 to 600 years ago. Ingram studies sediment cores at locations near the San Francisco Bay, which is fed by a watershed that covers 40 percent of California. Looking at the chemistry of the sediment layers and their fossil composition, she was able to tease out a record of past floods and droughts. The higher salinity suggests there was less fresh water flowing into the bay. Ingram said scientists believe the current warming trend will continue into the future. Detailed information about California's climate past and future may be found in a book Ingram wrote with Frances Malamud-Roam, The West without Water: What Past Floods, Droughts, and Other Climatic Clues Tell Us About Tomorrow. Water sloshes from a fill hole atop the steel tank and strikes the dirt road in puffs of dust. With weathered hands, short nails and a once black felt cowboy hat, Adam Cline motors the water truck through the anxious herd. Piled on the floor beside him are several 40 pound bags of soybean meal, a more affordable protein supplement that protects the herd from malnourishment. Cline is fortunate: his cautious management strategies over the last two years will likely carry this operation through yet another drought year, without having to sell off any cows. With as little as a quarter of the average rain in 2013, the drought in this region has now entered its third year, breaking records on a regular basis. And it may be the worst here in 500 years. Many of the University of California researchers and farm advisors helping the state's agriculture industry prepare for the coming dry summer months are comparing the water shortage to the historic Dust Bowl of the 1930s, when many Oklahoma farmers and ranchers left their homes in hopes of a better life in California. In her "Letters from the Dust Bowl," Caroline Henderson captured the voices of agriculture's most difficult era in America. In honor of Henderson's work, a team of UC researchers is developing a project that will use digital tools to capture the voices of the farming and ranching families who are today battling the worst drought they have witnessed. On one front, the project, called Farmer and Rancher Voices from the Drought, is cultivating a following through a new Facebook group. Later print and multimedia stories will be added to a UC Davis drought page. Today, however, we are launching a new audio component, where farmers and ranchers are interviewed and recorded by a friend, colleague or loved one. They document their stories of the drought, explaining what practices have worked for them so that others dealing with these struggles can better cope. Through the broad 100-year Cooperative Extension effort at the University of California, faculty, staff and researchers are reaching out to the extensive network of farming and ranching families across the state, encouraging each of them to share their stories. The audio component of the project is hosted on SoundCloud, where anyone can easily record and upload an audio track to share. Our team is moderating the SoundCloud group and approving each recording. The tracks will be shared across our social media and web pages, where they will hopefully gain the attention of media, as well as the general public. Create an account. Recording is easy, but first you must go to the SoundCloud site and sign up. You can also download and record with their smart phone app. Research your strategy. StoryCorps, a nonprofit project, has an excellent instruction guide for helping you record your interview. While you're there, we encourage you to also upload your finished story to the StoryCorps DIY page, where it will be preserved at the Library of Congress. Keep it short. By limiting your recording to three minutes, your story will keep listeners interested while maintaining its most essential parts. Provide your name, what you do and some background information on your farming or ranching operation. How has your operation been affected by the drought? What have been your management practices in response? What will you do differently if it continues? Is this the worst drought year you've experienced? What are your stocking and supplemental feed rates? Or how much land is planted versus fallow? Explain. What will your operation look like next year if the drought continues? How has this affected you and your family? What advice would you give others in similar situations? What should those outside California know about this drought? Finally, name it. Once you have successfully loaded your conversation onto our SoundCloud group, let us know more about yourself. Send us your feedback and some details so we can follow up: an email address or phone number, the storyteller's name, the interviewer's name, the company name (if you're affiliated with an agricultural organization) and a photo. Bill Tietje is a UC Cooperative Extension area natural resources specialist in the Department of Environmental Science, Policy and Management at UC Berkeley. He is based in San Luis Obispo. Along with insects and disease, the drought of 1987-1992 apparently contributed to the decline and death of these California live oak trees. 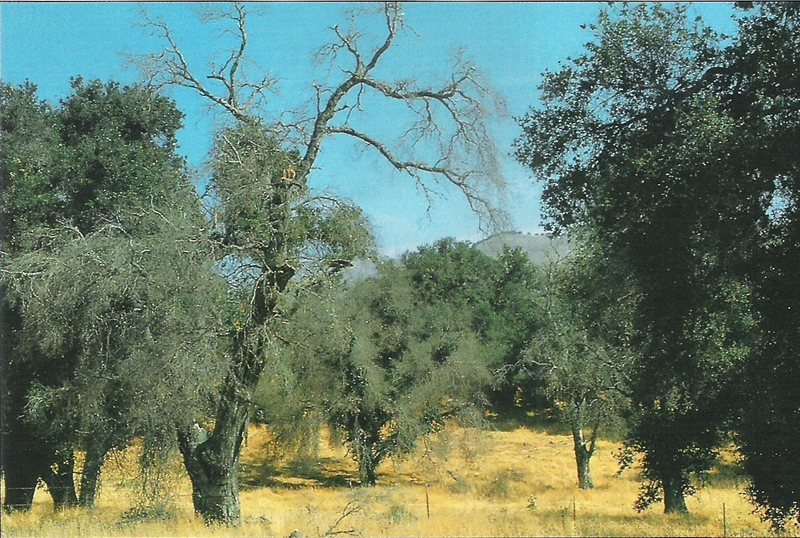 UC Cooperative Extension's Master Gardeners have received many calls during the past few months concerning the poor condition of many California native oak trees, in both urban and rural landscapes. Many evergreen oaks, including coast live oaks, have brown leaves and thin foliage. Adding to the unattractiveness, a deciduous oak, the blue oak, dropped its leaves ahead of schedule. Although a tree may look unhealthy, it can recover. Early leaf drop is a deciduous tree's adaptation for conserving water that it otherwise would lose through transpiration from its leaves, which can occur as long as the leaves are green. More recently, another deciduous oak, the valley oak, kept its brown, dead leaves longer than usual. This could be due to the virtual lack of rainfall and wind last fall and early winter, both of which typically contribute to an earlier leaf drop. 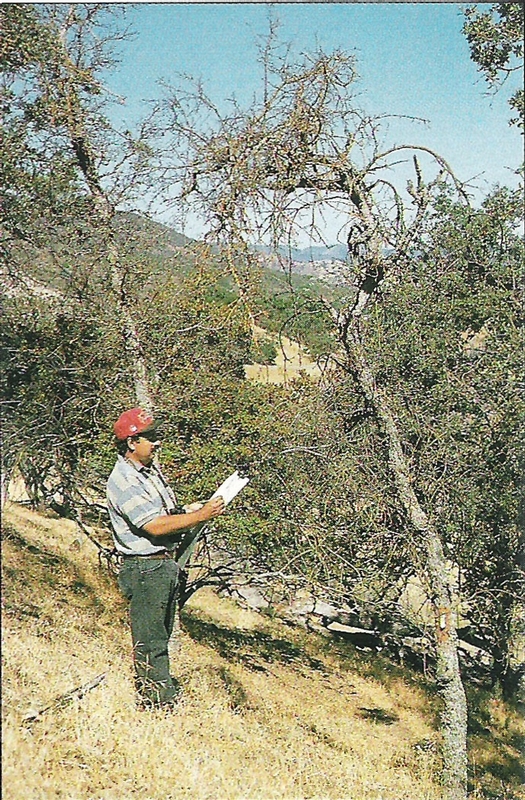 Sergio Garcia, UCCE advisor emeritus, examines blue oak that died during the 1987-1992 drought . Many of the trees that died were on sites with shallow soil and southern exposure. As you know, it's dry out there! In fact, the past 12 months have been the driest on record, going back to 1870. 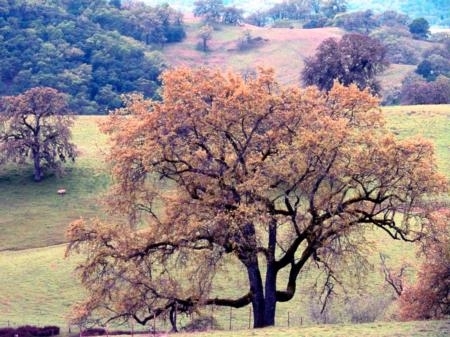 Not surprisingly, many oaks are under water stress—and they show it. This situation reminds one of the conditions during the drought of 1988-1990, one of the most widespread and severe droughts in the state's history. Coincidentally during that time in three counties on the Central Coast, UC Cooperative Extension was conducting a study that included the monitoring of coast live oak, blue oak, and valley oak trees on study plots scattered throughout Monterey, San Luis Obispo and Santa Barbara counties. Many of the oaks looked stressed. Some of the trees succumbed to the drought. Small oak trees in the undergrowth and on steep terrain with southern exposure, and shallow, infertile soil, were most vulnerable. Such sites are typically drier than other slopes and orientations. However, large, mature trees—or, large branches on these trees—on more gentle slopes, also died. Usually there is not only a single factor that causes the decline and mortality of oak trees. Drought stress lowers the trees' defense, making the trees more susceptible to mortality factors such as decay fungi and boring beetles. 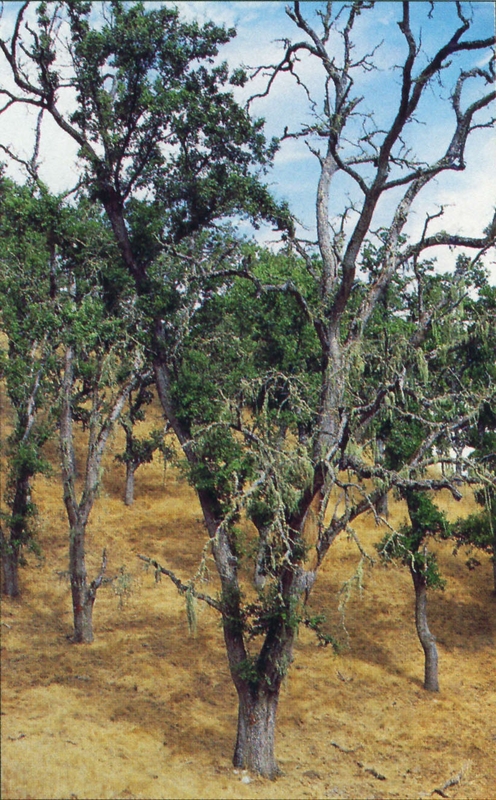 Most likely the drought caused early death of some oak trees that would have persisted otherwise. Surely our native oaks have been through droughts before. So the oak trees, other than the very small or very old trees, should be okay. Nonetheless, given the very low rainfall this year it may be prudent to give a valued tree in the urban landscape a “deep watering”. The entire tree may not die. Here a large branch of a valley oak tree died. A deep watering can be accomplished by moving a hose around under the tree's canopy during the day for a day or two at a low flow or a trickle stream, such that the water percolates into the soil, not simply run down the hill. Water a few feet away from the base of the tree to avoid inviting damage from crown rot caused by the fungi Phytophthora cinnamomi. Water-saturated soil increases the chances of infection of the tree trunk. A deep watering followed by soil drying for a month or two should not harm the tree. In fact, a deep watering may be the best recommendation for invigorating your thirsty oak tree, thus providing some insurance that the tree will survive this current drought. I should mention that unless California receives normal or better rainfall the rest of the rainfall season, it is likely that early leaf drop will occur next summer. Remember, as suggested above, the early browning and fall of leaves does not mean that your tree will die. This is simply the tree's way of adapting to conserve water when soil moisture is low. Unless the tree is severely weakened by some other cause, it will leaf out normally the following spring. For more information: Tietje, W., W. Weitkamp, W. Jensen, and S. Garcia. 1993. Drought takes toll on Central Coast's native oaks. California Agriculture 47(6):4-6. 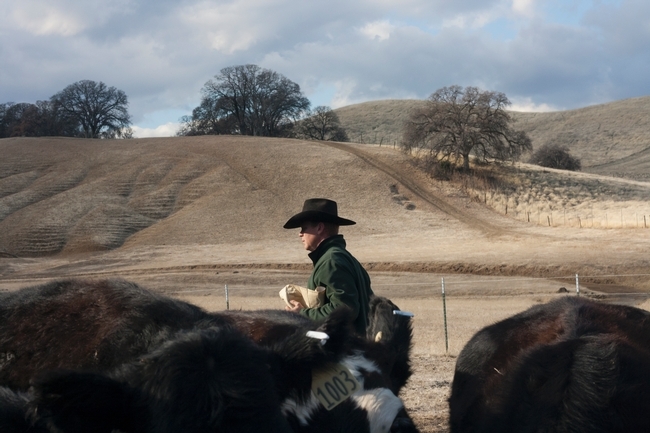 UCCE to help ranchers manage their herds during a period of low feed supply caused by drought. The first agricultural operations to feel the impact of a drought are dryland ranchers, many of whom rely almost entirely on annual rainfall to grow food for their livestock. The UC Division of Agriculture and Natural Resources will hold a drought workshop from 9 a.m. to 3:30 p.m. Jan. 29 in Browns Valley to help these ranchers live on to fight another day, said Glenn Nader, UC Cooperative Extension advisor in Sutter-Yuba Counties. "From previous droughts we've learned that feeding the whole herd through the drought may spell the end of business," Nader said. "We plan to provide information on management options and impacts of drought on dryland range and irrigated pasture, feeding options to consider during a drought and how to decide what cows to sell." Nader is organizing the workshop, "Mitigating Drought - Optimizing Pasture and Supplemental Feed, and Managing Risk," with Jeremy James, director of the UC Sierra Foothill Research and Extension Center. The meeting will be at the UC Sierra Foothill Research and Extension Center, 8279 Scott Forbes Rd., Browns Valley, CA 95918. The complete agenda is posted online. Registration is $10 and includes lunch. To register, fill in this online form. The forum will also be webcast for those that cannot attend in person. Register using the same online form. Decades of extreme weather crippled, and ultimately decimated, first the political culture and later the human population of the ancient Maya, according to a study by an interdisciplinary team of researchers that includes two University of California, Davis, scientists. The collapse of the Maya is one of the world’s most enduring mysteries. 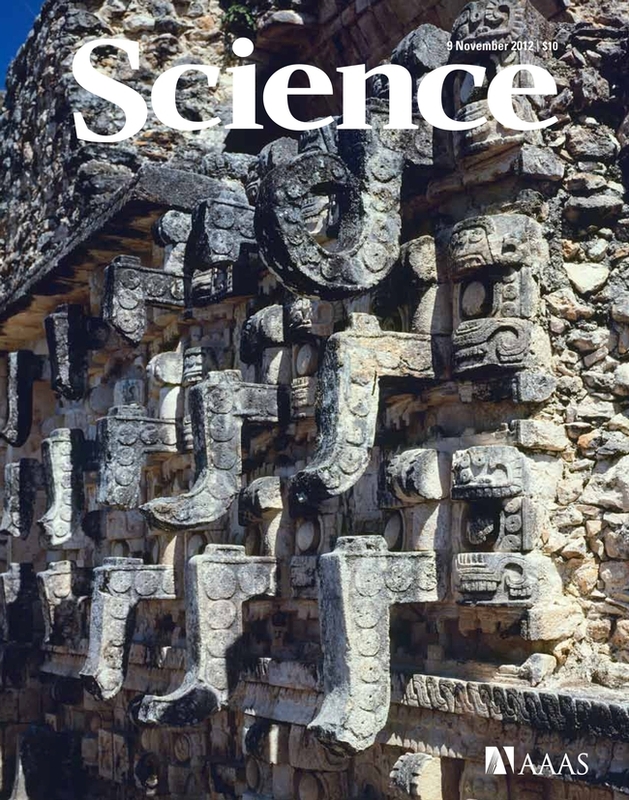 Now, for the first time, researchers have combined a precise climatic record of the Maya environment with a precise record of Maya political history to provide a better understanding of the role weather had in the civilization’s downfall. Their findings are published in the Nov. 9, 2012, issue of the journal Science. To determine what was happening in the sociopolitical realm during each of those years, the study tapped the extensive Maya Hieroglyphic Database Project, run by linguist Martha Macri, a professor of Native American studies and director of the Native American Language Center at UC Davis. 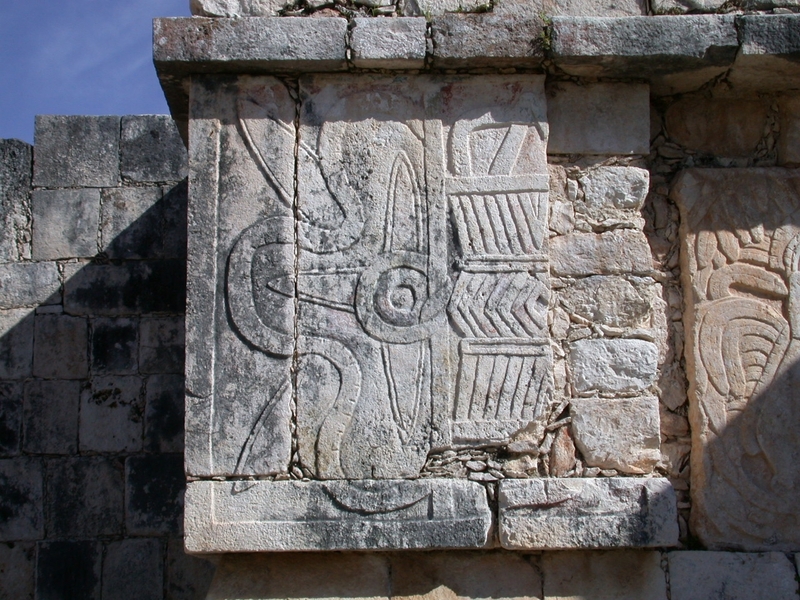 Macri, a specialist in Maya hieroglyphs, has been tracking the culture’s stone monuments for nearly 30 years. “Every one of these Maya monuments is political history,” said Macri. Inscribed on each monument is the date it was erected and dates of significant events, such as a ruler’s birthday or accession to power, as well as dates of some deaths, burials and major battles. The researchers noted that the number of monuments carved decreased in the years leading to the collapse. But the monuments made no mention of ecological events, such as storms, drought or references to crop successes or failures. For that information, the research team collected a stalagmite from a cave in Belize, less than 1 mile from the Maya site of Uxbenka and about 18 miles from three other important centers. Using oxygen isotope dating in 0.1 millimeter increments along the length of the stalagmite, the scientists uncovered a physical record of rainfall over the past 2,000 years. Combined, the stalagmite and hieroglyphs allowed the researchers to link precipitation to politics. Periods of high and increasing rainfall coincided with a rise in population and political centers between A.D. 300 and 660. A climate reversal and drying trend between A.D. 660 and 1000 triggered political competition, increased warfare, overall sociopolitical instability, and finally, political collapse. This was followed by an extended drought between A.D. 1020 and 1100 that likely corresponded with crop failures, death, famine, migration and, ultimately, the collapse of the Maya population. Co-authors leading the study are Douglas Kennett of Pennsylvania State University and Sebastian Breitenbach of Eidgenossische Technische Hochschule in Switzerland. The research was funded by the National Science Foundation, the European Research Council and Alphawood Foundation.